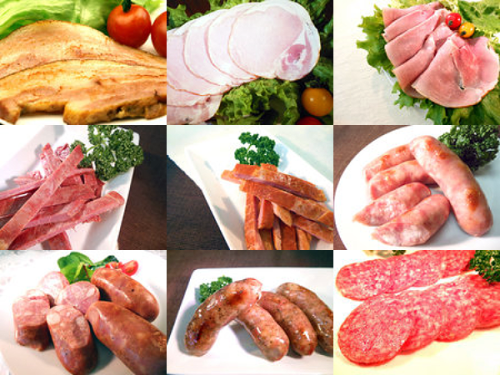 Company Name: Chef Meat Chigusa Co., Ltd. Chef Meat Chigusa marked its milestone of 50 years of business foundation. The company has been widely recognized as the prestigious distributor of more than 300 types of high quality and safe meat to the market. On the basic of enhancing the relationship between Vietnam and Japan, Chef Meat Chigusa established its Vietnam based subsidiary, which is Chef Meat Vietnam JSC. Placing its production base in Da Nang, by using fresh materials from this sea city and modern production line transferred from Japan, the company is in charge or producing various types of sausages, bacon and distributing Wagyu(Japanese cow). Having strong commitments to following its business principle of bringing meals filled with joyful smile, the company makes endless effort to make contributions to human beings and society.